We broke down all the basics on the Amusement Bonus during Act 1, you can check it out in this post. The bonus max for Act 2 has been increased. It was 20% for Act 1, it has now increased to 35% for Act 2. Once you’ve reached 35% (the max for Act 2) your characters will payout 81 . There (at this time) is no difference between Freemium and Premium Payouts. Also, crafting currency is not impacted by the bonus %, it remains the same 25 per character no matter what your bonus % is. Remember, you only have to have 1 square of the item touching the blue area to get the bonus % for it. It does not have to be completely inside the blue area. And as a reminder, here are the items from Act 1 and what their Amusement Bonus is…. Placing the original Injury 500 from the Store, the Free one for the questline, will award 6.25% bonus. The original (before crafting anything additional) comes with 1 long track (2%), 4 Corners (1%/ea, 4% total) and the main building (.25%). 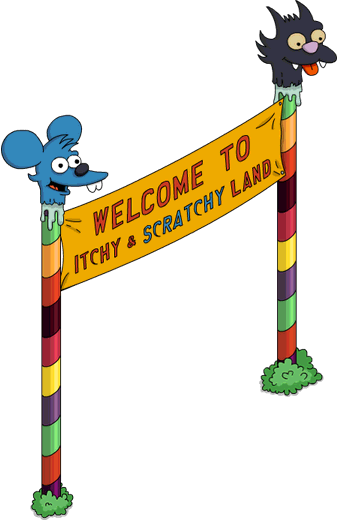 The best bang for your Itchy & Scratchy buck for Act 2? Either the Log Ride Short Track, Corner or Long Track. They all pay out about the same % for spent. As far as design is concerned. You’ve got 3 Acts to fit a lot of Bonus % in, design may not work out so well until the event ends. I know some of you are really big into making these items work around your I&S for the bonus %. Honestly, I’m not. It’s a matter of making them items fit, maxing out the bonus % and moving on. Once the event ends I have entirely different design plans for the buildings and craftables, so that’s when I’ll be moving everything around. I just don’t think it’s worth stressing over the design right now. Achieve the bonus % needed, craft what you like and make it work once the event is over. And that is it my friends, the details for the Amusement bonus in Act 2! How are you making the items work? Are you designing now or just getting the bonus % and waiting till the event is over to make a design work? Where is your bonus % sitting right now? Which items did you use to get there? Sound off in the comments below, you know we love hearing from you! 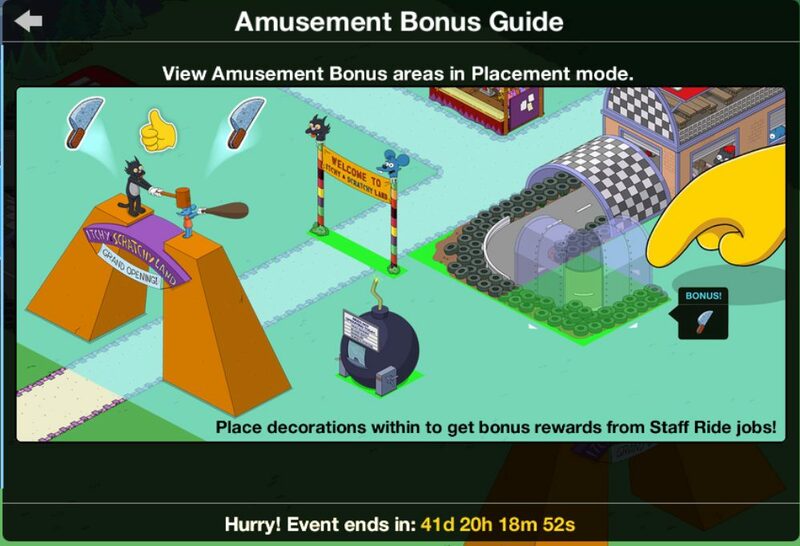 This entry was posted in Tips and Tricks, Updates and tagged Amusement Bonus act 2, Amusement Bonus Area, How do I earn more currency, how do I earn more Itchy and Scratchy Land Currency, Itchy and Scratchy land event, log ride bonus, max out amusement bonus, Tapped Out Krustyland Part 2, Tapped Out Tips and Tricks, The Simpsons Tapped Out, TSTO Addicts, TSTO Itchy and Scratchy land, TSTO Tips and Tricks, what does the amusement bonus do, what items earn bonus, Which items earn amusement bonus. Bookmark the permalink. How do I get the parade roller to work. How do I get the axe to activate. I am really glad that there is not a lot of items to craft that isn’t a extension for the rides because the only items I want to craft multiples of at the end of the event is the parking lots, ticket booths, the weirdos in Act 3, and maybe another Nurse’s Station. I have already got all the track pieces I need for the Injury 500 and am currently working getting more of the log ride pieces. My bonus is already 33% so there is no need for me to get the pieces for the bonus but now for the design. I’m so ready to quit this game. This event has been terrible for me. It will let me play 5 minutes then I get the Bart screen. I feel so behind because of this. I try to organize my land it shuts die. Anyone else experiencing this? I’ve disabled the race track in hopes it’ll help. come check out my Krustyland and I+S Land for inspiration. Level 268 and fully rebuilt Kland. In I+S have fully built and almost done with log ride. How do we visit your land? Patric, you did a really nice job with your amusement area. I see how you put the track and the log flume right at the entrance. I’ll have to take out some roads and move things around but this isn’t easy for me. I was never very good at coloring within the lines. I’ve always been a free spirit. :). Don’t despair Tippie, I had to rearrange my whole area to make it work. I had to move my gate back away from the “edge of the world” so that I could use the entire blue zone (it’s larger than I thought). I also decided to downsize the race track, since we don’t need 2 sets of stuff earning a bonus…or you could move the racetrack out of the blue zone entirely. Come by and see what I did, if you like…I’m currently at 35% and it’s not too crowded at all. I hope they fix the lag issue with the track before the end of the event…Id like to have it just outside the park, but it’s staying in storage until I know it won’t cause any more problems. Ebron, yes, I did come by and took a look. You’re way ahead of me in the game. I haven’t even unlocked the log flume loop yet… so I’m kind of stuck with the track for now. Fortunately though, my track doesn’t cause the lag. My recycling center does. That’s why I save the recycling center tasks until I’m almost finished tapping. Tonight, I got rid of paths and stored some rides. I just plopped pieces of track and the log flume any which way in the blue area for now. Looks pretty crappy.. but at least now I’m getting the full bonus. Anyone else notice that in the initial formation the entrance to the ride is inside the loop? I did what someone else suggested, and turned all the turns with the tires burning around and the game picked right up. I also turned one turn in the log ride. Its not how it was but its better than it was before I did this. I also turned 1 track in the monorail. I think you’re right. Even if it goes to 50%, probably we will achieve it with act 1 and 2 stuff. If not i will move some things, but i have the feeling there will be not that much moving necessary. Ebron, how much is your bonus in the blue lines. It looks like you aren’t really worrying about it? I’m actually at 35%…my 4 parking lots are barely in the blue zone, so they add 12%…then there’s the nurse house, the banner, the main Injury 500 bldg, 5 ticket “bombs”, and all the log ride stuff. It all added up to just the right amount and it looks better than when the race track was there. The secret is getting the parking lots just close enough to count, but not take up any space needed for the rides. Find a way to put those Bonus Producers in the proscribed area. I already finished Act 1 early with a 20% bonus…with a 35% bonus it will be even earlier. By the way, wasn’t “Bonuts Galore” the name of the femme fatale in the spy event? I don’t think it will be so easy to finish early, when it takes nearly 13000 to get to the second part of Act 2. Is this going to be the norm? Here is a quick video of my design showing the bonus area. A “fun” little animation glitch, log ride loop appears out of thin air and disappears again. 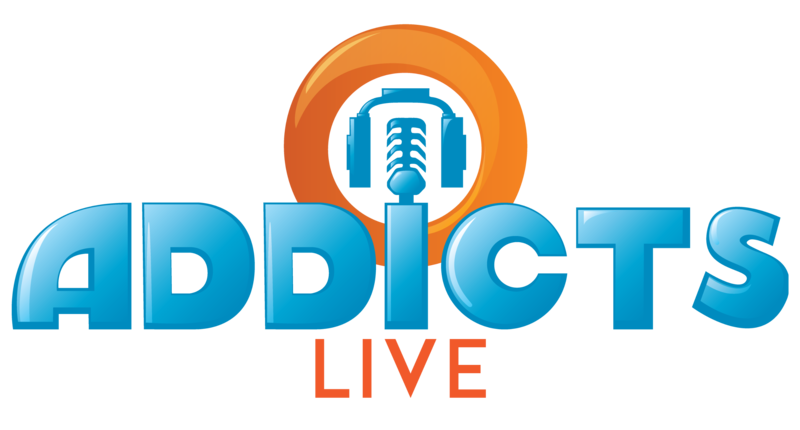 By the way, what app are you using to do screen recording…haven’t had much luck with mine (I have an iPad). Very good, do you have any game lagging in your game? Not really. I have an iPad Pro 10.5 with 256 GB. When my game does slow down (and usually losing the sound), I just close all my apps that are running and restart TSTO. That fixes it. Taking the game’s persistent bugs in stride is easier when they’re benign like this. I didn’t have a lag in act 1, but now it’s lagging quite a lot. Not really unplayable but very annoying. For the time being i disconnected the cart race, but i hope they will fix it. What’s the point of having those rides if you can’t use them. I like the things like that (including monorail). Overall, at first i hated the krustyland things in my SF, now i do kinda like it. With KL and I&S, i might want to design a nice theme park, including Praiseland and other stuff that doesn’t really fit in a normal town. My game is completely frozen, no matter what I do as soon as I clear my characters from the staff rides in the I&S land gate it completely freezes and has been that way for over 24 hrs now. If not fixed by tomorrow will definitely be deleting the app and never touching it again and I’ve been tapping since day one. Have you tried a hard close of your device…that clears the cache. If you can then get in, store all your track pieces immediately, piece by piece (you can’t store the main building, but it doesn’t seem to be the problem) and see if your game is back to normal. Unfortunately it has nothing to do with track pieces, I sent the 10 people to do what ever task for the second expensive expansion quest and every time I clear the quest the characters don’t appear they just stay hidden like their stuck in the quest I guess. And I’ve waited, hard reset, and uninstalled, every thing you can do, but it still freezes as soon as I clear them and that’s it I’m locked out of my game. I think someone a couple days ago had the same issue with trying to complete this task. 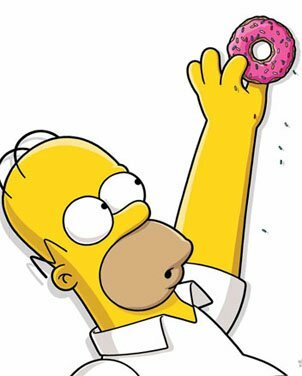 She spent 2 donuts to pull Marge out in the middle of the 4 hrs, then immediately sent her back on task. It broke the loop and she was able to continue. Worth a try…😕. Can’t, completely locks up, I can log in and hard close and because I was really close to earning my 3 bonuts it actually saves my donut collection I could log In like every 5 seconds and earn 3 donuts over and over again. I’ve tried lol. But as soon as I tap on the I&S thing everything freezes. EVERYTHING. And I have a iPhone 8 128g and no other games or music, this is literally the biggest app on my phone. Ok, last ditch effort…can you store the buildings that the trapped characters are tied to? Marge and Moe are tied to Moe’s, so try storing Moe’s, pull it out and resend them on the task -not thru the I&S gate, don’t touch it – but thru their own task lists. Maybe this will break the loop. Goodluck😊. Don’t touch the gate afte you clear everyone, because that screen makes everything freeze. Find Marge via the Office of Unemployment and rush her task, and then send her on the same one that everyone is stuck on. If that doesn’t work, try what Ebron suggested – as this weird glitch has actually hit me twice! My suggestion worked the first time, then when I got stuck again, I stored the first building I could find that was tied to a character (the church from the last event with the ghosts, I think), hard closed, opened, cleared everyone again and then they were finally free. The characters getting stuck in the gate thing is super weird! 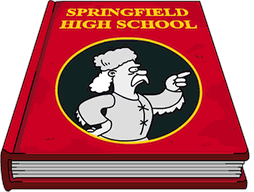 Since I’ve gotten it twice, I’m assuming it will happen again if there is another “Send Springfielders to do Whatever” task. If you are having lag issues, don’t complete the circuit. Ie, shift a segment one tile off. Once the circuit / track forms a complete loop, the lag of both rides kills everything in terms of easy movement. Thank you, I was about to throw my tablet out. I am suffering from lagarama. Also if you’re not fussed about design at this moment in time and are waiting until the event is over, turn the corner pieces so that there is no fire burning the tires. That extra animation for 4+ corner pieces must contribute to the lag as well. I really wish they’d get rid of this arrangement bonus nonsense unless they’re going to start letting us just buy open land again instead of getting tokens. I thought they switched to the tokens because they weren’t going to be adding much new land to the game but then they went ahead and added a ton before this event. I sent everybody to work at the I&S entrance…that gave me 4 hours to delete the track and build the log ride to get my 20% bonus back. With over 12,000 crafting cash saved, 4 parking lots (12%), 3 ticket booths, the nurses station, the banner, and the main Injury 500 building, I was able to build the log ride back up over 20% before everybody’s 4 hour jobs were done and didn’t miss any bonus. I turned the Injury main building into a bumper car track and left the rest stored…don’t need them and they really cause a lot of lagginess. Have my log ride completed today…it’s lots more fun than the track! I’m of the same mindset as Alissa. Packing items in for the bonus percent. I will worry about design at the end of the event. There are still a lot of items coming, so it is difficult to plan what the final design will look like. My plan is to have K-Land and I&S Land be two sides of one giant park. So while the I&S side is in shambles, I’ve been designing the K-Land side. Boring event, boring prizes, boring crafting.. Normally i design as I go along but this time it’s plopperville and maxing the bonus %, that way I get the pieces i need, the water ride looks like it could be a fun attraction to my town but as it doesn’t work it will end up in storage, along with a lot of this events stuff, think I might end up with a small amusement park incorporating krustyland/i&s and my Jurassic area and western area that might leave some land for other events. I’m trying to make my Injury500 and Log Ride take up as little room as possible, so the can go around both of them. That’ll make it easier to move I&SL into a KL expansion.. I got the ride as soon as I could log in yesterday with daily challenges saved and 10 freemium characters tasked but it took another few taps to unlock crafting the sections. Anyone having the problem of the game freezing up every time you try to send characters on staff rides? Every time I click on the I&S thing to send people it freezes and same with clicking the upper right icon, I’ve hard stopped and deleted and reinstalled and it still locks up every time. Have t been able to play since yesterday morning. Just me hua? Damn I’m still completely unable to play. Is your Injury 500 track disabled? That will help (pull one piece over one square to disable the riders animation). You might also try turning the pieces with smoke so that the animation is gone. I actually stored all my track pieces (since we have the log ride now) and it helped a lot. If this system continues into Act 3, things are going to get very crowded in my I&S themepark! If the same system continues into Act 3, things are going to get very crowded in my I&S themepark.